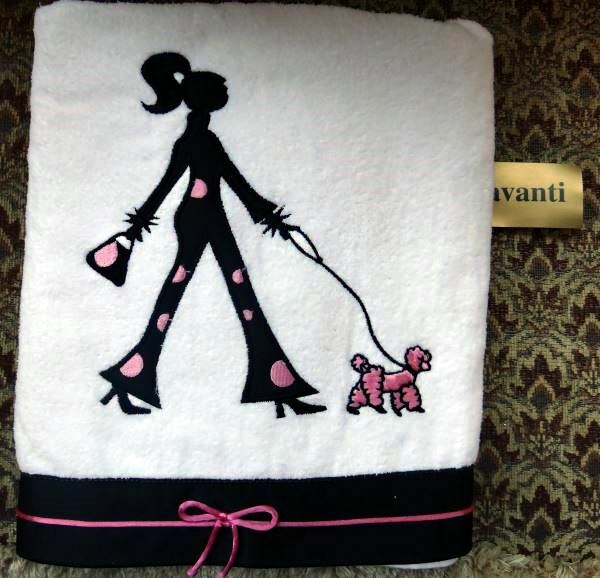 The Dog Bath Towel is 100% white cotton towel with black and pink coloring. 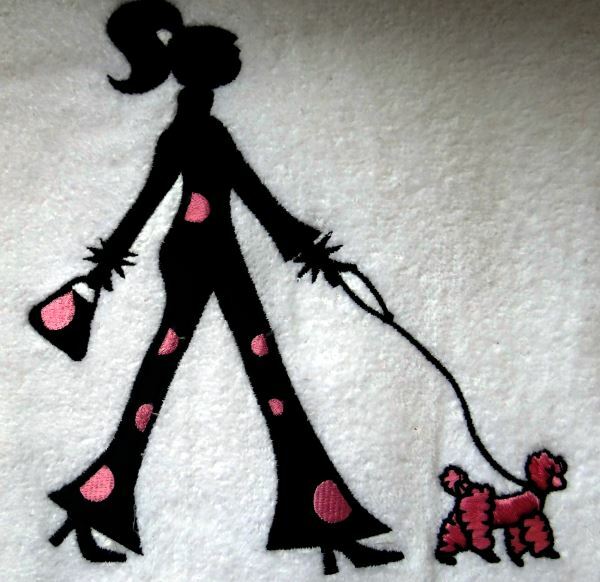 The girl is stitched with pink polka dots and the pink dog is stitched. 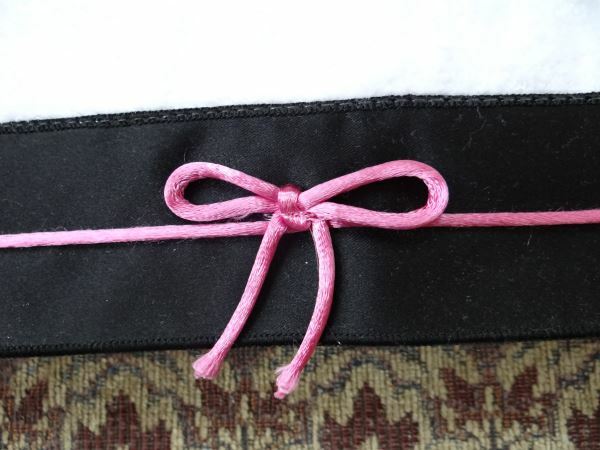 There is a black satin band along the edge with pink satin cord trim and a pink bow. The towel measures 27" wide by 51 "long. The girl measures 8 1/2" tall by 7 1/2" at widest.